For City of Things, Caroline Devine has invited Murray Lachlan Young to contribute poetic responses to the Milton Keynes landmarks that inspired her own compositions. Murray can also be heard delivering the verse of eighteenth-century local poet, William Cowper, who wrote with great affection about the area. Murray Lachlan Young is an award-winning, multi- disciplinary writer and performance poet, who also works in theatre, film, and music. 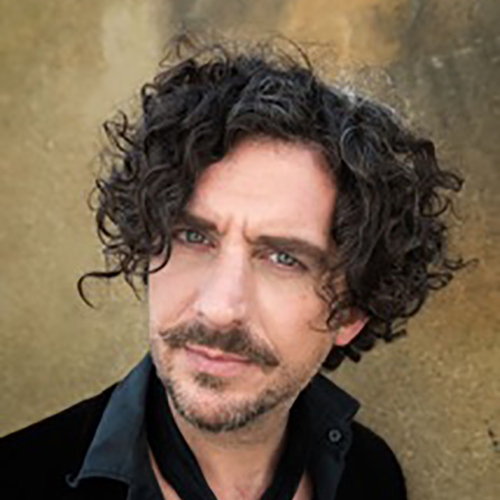 He is currently Poet Laureate for BBC 6 Music and is a regular contributor to BBC Radio on everything from the Arts Show to Test Match Special. Murray has also written for Shakespeare’s Globe, the CERN institute in Switzerland and MTV USA. Murray is the writer of several plays, most recently the darkly comedic The Incomers. 2015 saw the cinematic release of his critically acclaimed co- adaptation of Dylan Thomas’ Under Milk Wood. An anthology of his collected poems – How Freakin’ Zeitgeist Are You? – was published in April 2017.